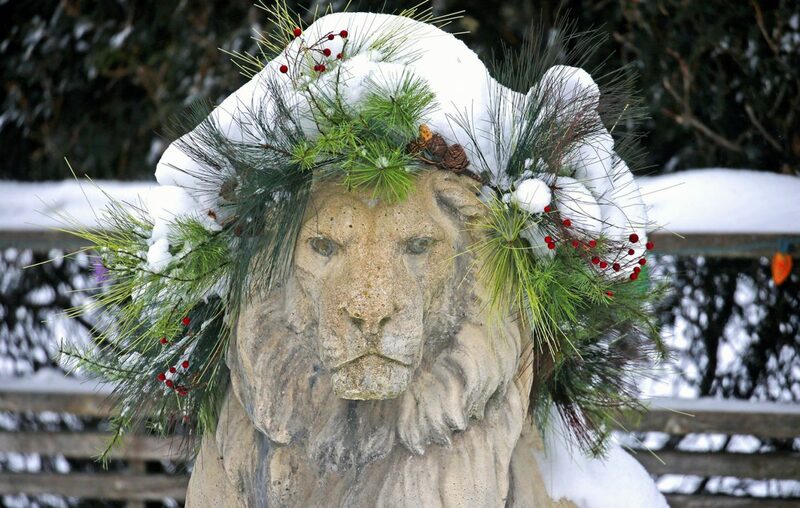 A pair of lions will bookend March 2019 in Buffalo, according to the National Weather Service forecast. The month started with measurable snowfall for six of the month's first seven days. Forecasts show it's possible March will end with days of precipitation, culminating with a return of snow by Sunday. Showers are expected to start this morning with breezy southwest winds, gusting over 30 mph at times. As much as one-quarter inch of rain is possible with daytime highs in the upper 40s. Showers are likely to continue in metro Buffalo overnight with lows in the upper 30s. Forecasters pegged chances for showers on Friday at about 30 percent. Highs are forecast in the mid-40s. Then, more rain is expected overnight Friday and into Saturday as well thanks to a stalled frontal boundary. "From a moisture perspective, ingredients still look good for at least moderate rainfall rates later Friday night and Saturday," the weather service said. "Prime time for the widespread moderate rain rates setting up in a southwest-to-northeast axis across the area looks to be from about midnight Friday night through about noon Saturday." 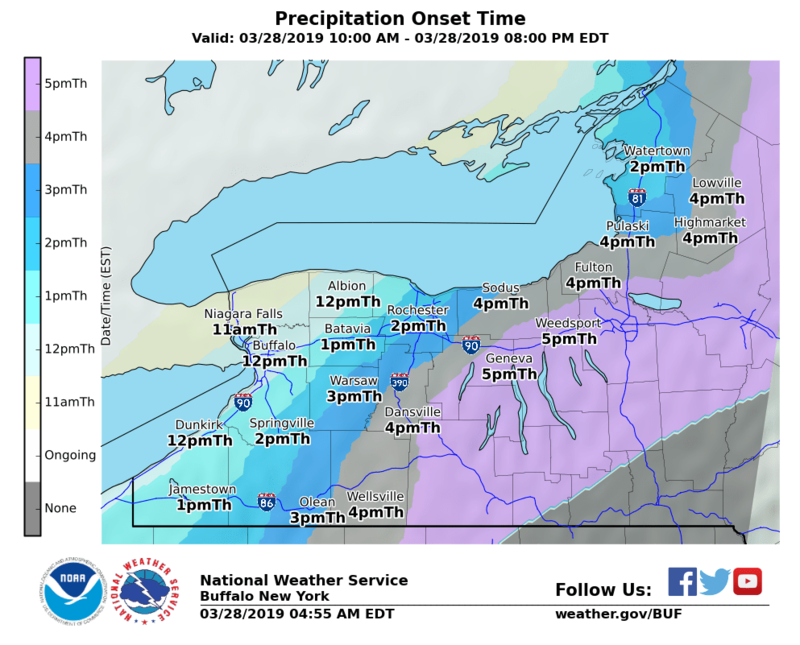 As much as 1 inch of rain is possible across portions of Western New York by late Saturday. Precipitation is forecast to turn over to a mix of rain and snow overnight Saturday before changing to all snow early Sunday morning as temperatures drop into the low 30s, forecasts show. Highs on Sunday aren't expected to escape the mid- to upper 30s with chances for more snow showers. The average high temperature in Buffalo for March 31 is 48 degrees.